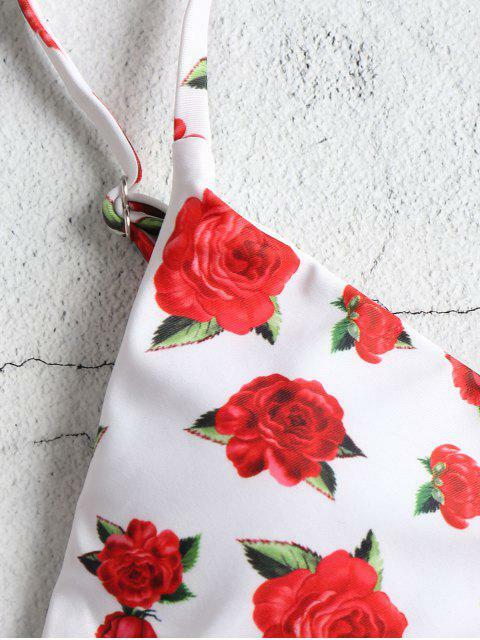 [37% OFF] 2019 Rose Print Plunge Bikini Set In WHITE | ZAFUL .. The bikini was a bit large for me, I ordered small, I am usually small. But the quality is Superb! Its just that, It was 5 days delayed delivery. Transporting you to balmy days, the allover rose print triangle bra features soft, fully lined cups and a V-collar cut for additional shaping and support. The shoulder straps are adjustable and visually carve out your figure, and the matching bottoms are a simply classic silhouette.